If you’re not aware, growth hacking is an innovative marketing method used to bring exponential growth in a business. These tend to be clever tricks that quickly lift you above the pack and allow for massive scaling in a short period of time. 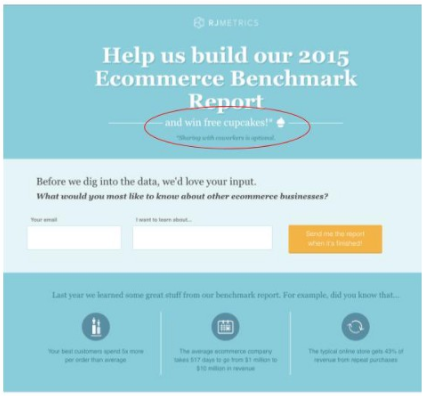 By their very nature, growth hacking tactics are fleeting. They have a huge initial impact before being adopted by the masses, after which they either become obsolete or are adopted as industry best practice. Either way, they lose their impact. For this reason, growth marketers are always on the lookout for the next hack that could see them achieve growth of 4x, 10x or even 40x. I’m going to explore the best growth hacking tactics for 2018. These simple processes could be the key to kick-starting massive growth in your business. Included in the list is possibly the best growth hack of all time, and it involves cupcakes(!). There are some excellent online tools that allow users to share highlighted text from an article without even leaving the page. 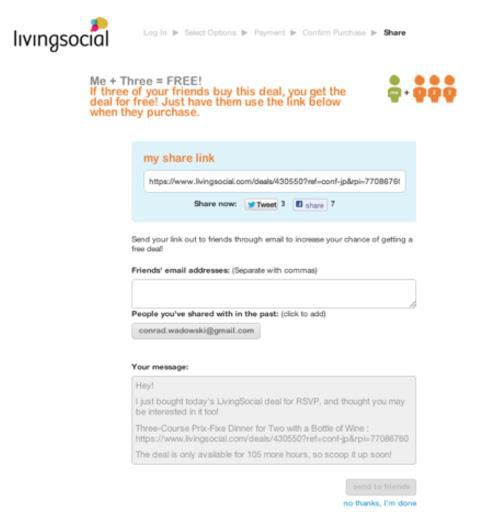 In addition to the normal social share buttons, when users highlight text, buttons appear allowing them to share the quote with their social networks directly. Quotes stand out far more than blog post titles on social feeds as there are less of them and they can be more specific, inspirational, and ultimately more enticing than just another blog post title. WordPress plugin Highlight and Share is a great example of a tool like this, which easily enables this hack. Key metrics to look out for here are obviously the number of clicks on the buttons but more importantly the effect that has on traffic to that particular post. It’s rare that a product or service could be so useful that every single customer would refer three friends, but if you offered the customer a heavy discount once they refer three people, you have a winning formula. However, you have to be careful with this. You don’t want to come across like a pyramid scheme. As long as you have a genuinely useful product for referral, this shouldn’t be a problem. Metrics can easily be tracked via your CRM software, allowing you to see how customers are interacting with the emails, who they are sharing with and how many of those people are going on to refer others. It’s the year of video, and even more so, it’s the year of live video. It’s the easy way to get noticed on social media, with all the platforms promoting live video over other types of content. This is an excellent way to attract leads at the top of your funnel, using the content of the video to qualify them and take them further down the funnel. Plus, it’s easily shareable on social networks. 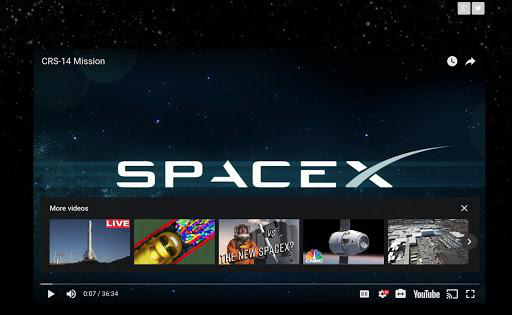 Once the live stream is over, you can keep the video on your site as a replay of the SpaceX example below. If you think about it, your own guys are the best people to talk when you are trying to figure out what will go down well with your buyer personas. Your sales, customer experience, and marketing teams are on the ground communicating with them and may even have the same pain points. This is an untapped source of key information that can take your growth to the next level. You can easily set up simple forms and surveys online and send them out to your team. Analyse the results and extrapolate any common themes. You could even follow up with particular colleagues and present the information in an interview format to add a personal touch. Google Forms offer easy to use online forms and surveys that you can share with your team. You can embed the form on your website and download a copy of their answers to your hard copy. You can also view them online and break down the answers of each participant. If you’d prefer an ongoing method of gaining insight from your team, there are some great services that offer something similar to a digital suggestion box. Sideways6 is a good example of setting up an opinion gathering machine within your own company. The keys things to look out for are patterns in the data. If your colleagues are talking about the same pain points and challenges, these are the ones to focus on. This is a pretty simple idea based on the fundamental human love of free stuff. But instead of giving away a high-value item like an iPad, the idea is to appeal to emotion. B2B SaaS company RJMetrics had the idea of offering the chance to win a box of cupcakes to people who signed up for a seminar. Ten lucky winners would receive the prize which only cost the company $50. For this small cost, they received a phenomenal response. Not only were the winners delighted to receive the cupcakes, they tweeted pictures of them and shared the news all over social media. The idea is that people actually respond much better to the idea of cupcakes which evoke excitement even though an iPad is more valuable. You’d look like you’re boasting if you shared a picture of your brand new iPad, but sharing cupcakes is fun and harks back to the joys of childhood. Cupcakes have been done now, but the principal is there to be used again. Think about what you could offer your prospects that would excite them, that’s got the visual appeal, that they would want to tell their friends about. Making it appealing to share is the key to exponential growth. The key metrics to keep an eye on here are the number of social shares and the number of clicks you are getting the signup CTA. 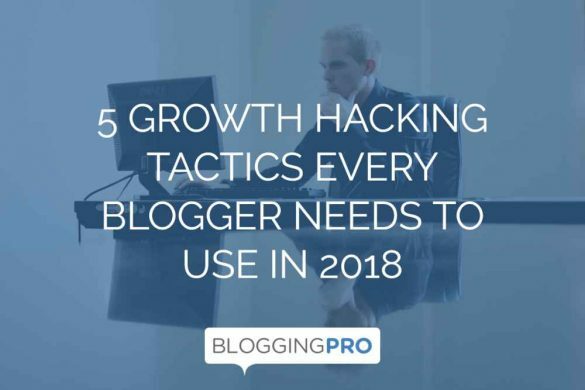 The innovative growth hacking tactics mentioned above should help you come up with ideas on how to approach this strategy on your blog. Be aware, however, that you have to implement these tactics as soon as possible before they lose their usefulness. The more people who attempt to implement these hacks, the less effective they’re likely to become. Of course, there’s no stopping you from adopting one of these hacks and taking it in a completely new direction that only you’ll be implementing. Great tips. I think it’s also important to focus on the leads when it comes to growth hacking. Your website success depends on your blog’s sales funnel so it’s really important for you to turn your random website visitors into leads and sales. Most people fail to build profitable blogs that make money just because they lack of solid sales funnel. No matter what industry you in, you need to figure out how to capture website leads so you can create awareness and make sales out of your blog. Running high converting quizzes or giveaways can really help you turn random website visitors into email subscribers and then it’s your duty to create awareness to turn those email subscribers into high quality leads who are interested in buying your products. By using quizzes you can also find out what your target audience really wants by asking questions related to your industry so you can create better content and products to them in the long run. I personally use content upgrades to turn my website visitors into email subscribers then I usually create an email sequence to create engagement with my email newsletters to educate them about the products and services I offer. I also usually segment my email list so that I can target only selected people to offer my products or services which was really great in terms of getting more sales and conversion rates.